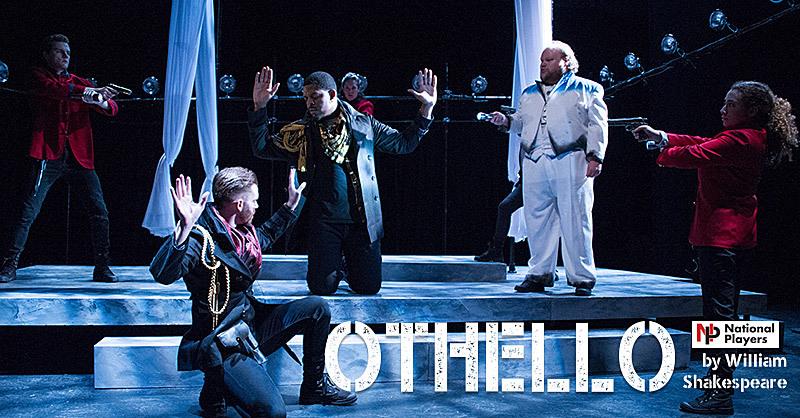 Othello is a celebrated general returning home from the wars, but his dark skin and foreign origin inspire hatred from several people, especially the man he trusts most: Lago. As Lago twists Othello’s love for his wife Desdemona, everyone becomes pawns in Lago’s devious plots. National Players is a program of Olney Theatre Center and is made possible by support from the Arts and Humanities Council of Montgomery County, the Maryland State Department of Education, and the Maryland State Arts Council. This entry was posted	on Friday, March 2nd, 2018 at 3:40 pm	and is filed under News & Blog, Past Community Theater Shows, Past Live Shows, Subscription Series 17-18. You can follow any responses to this entry through the RSS 2.0 feed. Both comments and pings are currently closed.